We provide a powerful cloud-based platform allowing food and beverage businesses to manage their inventory effectively. Our software allows you to easily and accurately track stock in real-time across purchasing, production, and sales processes and transactions. With such dynamic inventory information, you are able to make better data-driven business decisions. 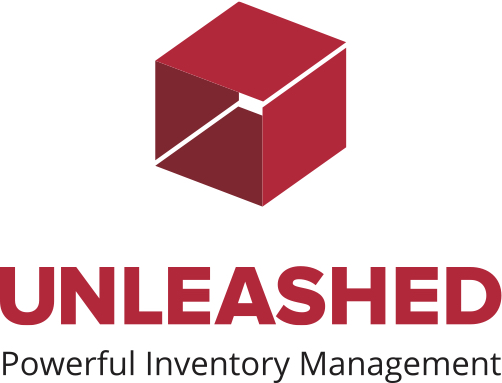 Unleashed also integrates with various accounting and eCommerce applications to provide you a full business solution. Gill Jennings & Every is a leading intellectual property firm based in London and Munich. We provide the ideal combination of legal, technical and commercial expertise to help turn your innovations, brands and designs into commercial success. We understand the importance of intellectual property to your business and by providing clear, creative and expert advice we can assist you in protecting, exploiting and managing your IP assets to maximise their value. We are consistently recognised by the leading UK legal directories – Chambers, Legal 500 and Managing Intellectual Property – as a ‘go-to’ firm, which is a testament to the quality of our advice and the valued role we play in supporting our clients. We are a global manufacturer and exporter supplying coding and marking solutions to food and beverage manufacturers for over 30 years. We are proud of the date, batch and lot printing and marking systems our team design, build and supply for this market. Our latest printer, the Linx 10 continuous ink jet printer, has been designed with small and medium-sized producers in mind. We aim to help support emerging companies’ brand, quality and productivity demands as their businesses grow, and as they look to automate their coding and marking processes now and into the future. We are commercially minded, pragmatic solicitors providing business advice to entrepreneurs, start-ups and SMEs. We at Mr Lee’s Noodles offer an award-winning, healthier, gourmet cup noodle with nutritious freeze-dried ingredients and absolutely no nasties - the perfect light lunch or dinner. All of our 6 flavours are certified low in sugar by Sugarwise and gluten-free by Coeliac UK. They are also low in salt, saturated fats and calories with vegan options available. Mr Lee's noodles can be served in the cup as a hot food on-the-go option for the travel industry or in a bowl as a sit down meal in a coffee shops, lounges or bars. All noodles are not created equal! A real game changer for premium food-on-the-go! We are an online, virtual law firm. We take SMEs from Idea to Ideal as they start, grow and succeed and have particular expertise in the Food & Drinks sector. We do this by providing affordable, understandable advice from our expert, regulated lawyers. We wrap their advice around our online platform delivering the best legal software, technology tools and documents, all delivered with a human touch. We provide free 15-minute consultations for all new matters. 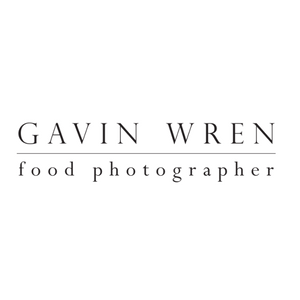 Food Envy Photography is a dedicated food and drink photography studio working with clients across the food industry spectrum, from the small independent/artisan manufacturers and restaurants, to large food and wine distributors and celebrated chefs. We are... foodies, collaborators, brand designers, packaging designers, brand thinkers and start-up fans. We partner big ones, small ones and crazy ones. The bigger your vision the better and if it's currently fuzzy - we'll help you crystallise it. B&G Products Ltd are a BRC Grade AA Certified Flexible Packaging Manufacturer with over 30 years’ experience in manufacturing high quality re-usable Cool Bags and pre-made pouches. We are an innovative, growing company with our approach to industry standards, ethical trade and environmental concerns being positive and progressive. We are grocery retail growth experts working in long term partnerships to provide the complete platform for emerging and scaling food and drink brands. Our team has well over 30 years of experience in building growing grocery brands. Wholebake, a pioneering company, came to us to break into the grocery channel from their base in the health food trade. We worked in partnership with them for 13 years building their business and now 9Bar is one of the market leaders in energy bars. In 2015 Wholebake was sold to private equity and we are proud of our part in its success. Since 2014 we have worked with Gem Misa from Cauli Rice to grow her business. The challenge was to get widespread nationwide distribution and we achieved this by winning listings in all major multiples in 2016. The result is that Cauli Rice is the fastest growing brand in the Rice Category and is on track to become a top 10 rice brand in 2017. We will be running a workshop on Saturday and will be available throughout the conference to learn about your business and to explore your possibilities. I am a food photographer and professional food blogger who is committed to developing amazing images through a deep understanding of food and what it means to us. My unique experience of the food world spans practical experience in catering through to theoretical knowledge of policy, meaning I will understand your product on a deeper level, which helps me to create even more beautiful images for your brand. Come and see me at Bread and Jam to find out why I’m different! We are a specialist food and drink insight consultancy helping U.K. and International companies, brands and start-ups make better decisions and profit through a deep understanding of their markets, people and culture. Being awarded Winners Of The Recommended Agency Awards (RAR+) for UK 'Best Market Research' and Recognised by our clients as being one of the most innovative and reliable market research companies, our expertise is in creating and developing new ideas, measuring customer satisfaction, tracking marketing performance or helping brand owners to know their customers inside out. Colourful is a boutique brand consultancy. We help products stand out. Services include brand strategy, naming, brand identity, packaging, and web design. Our approach is to think carefully about your place in the market, proposition for consumers, and brand personality to develop a central story that can inspire everything from packaging through to communications and customer experience. It's about knowing who you are and bringing it to life – beautifully. 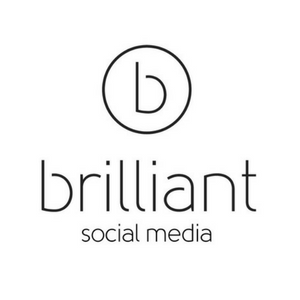 Brilliant Social Media is a specialist agency helping food and drink brands to tap into the potential of social media. Laurra has spoken extensively on social media and is known for cutting through the marketing babble and clichés to tell it like it is. She is a specialist in the development of tone of voice, online community building and driving brand loyalty through social media. In their six years, Brilliant have helped their clients become household names and built up 2 of the Top 3 ranking Facebook pages in the UK’s Food/Beverage sector. Brilliant are best known for their work with coffee brand Beanies Flavour Coffee which has been transformed through social media. In 30 months they've transformed their social following from hundreds to over 160 thousand and created such a huge demand for their flavour coffee that they are now outselling their main competitor in Sainsbury’s and have secured listings in Tesco alongside international distribution in South Africa (Checkers), Germany, India and Poland. Founded in 2011, Crowdcube was the world’s first investment crowdfunding platform. Crowdcube provides a platform for start-up, early and growth stage businesses to raise finance from professional investors, high-net worths, VC firms, everyday investors and your own community. We specialise in food labelling compliance, artwork checks and nutrition and health claims. Vypr has been created to enable real time intelligence to steer the product innovation process to successful outcomes every time. We combine leading edge app technology Behavioural and Data science to predict consumer response to products, to allow you to iterate and change to dramatically improve your chances of success. Until recently only available to larger brands, manufacturers and supermarkets, Vypr have worked with Bread & Jam to create a model appropriate for start up and scale up companies. Want to get your product listed with the perfect supermarket, foodservice or retail outlets for your brand ? Want to do so at a sustainable price with payment terms that don’t cripple you? Want to avoid expensive mistakes on packaging and PR, and long laborious lead times to get to talk to the actual decision maker? Want ongoing, up to date and relevant guidance on how to land on the best side of decisions that involve capital (like manufacturing premises - or not), when to press the button on packaging, how to plan to scale up ? Then you need to invest in a chat with me to help you put a plan together before you go any further - 25 years plus (and still bang up to date) on both sides of the desk experience is really, really useful to have in your corner. Transmit Start Ups are a National delivery partner of the Government backed Start Up Loans programme. Our Start Up Loans are unsecured, available from £500-25,000 per founder (up to £100,000), to people in England, Scotland or Northern Ireland, and are designed to get your business up and running. To date we have helped over 2000 businesses, with the sole purpose of ensuring their long term success by providing finance, support and mentoring. Transmit Start-Ups is made up of a team of experienced entrepreneurs who understand what is involved in starting and growing businesses. Click below to register your interest in a Start Up Loan. In addition to the Start-Up Loans programme, Transmit Start-Ups operates a free funding support service called Teal (www.askteal.co.uk), which matches early stage companies with the best finance providers. The only B2B platform to order all the food and drinks you need, direct from the source. Umbrella are a creative agency that pulls together unique teams for every brief. We tap into our vast network of creatives, designers, copywriters, strategists and producers, and pull in the right people at the right time from concepts through to delivery. It means we can bring expert insights and unique creativity to each project without having to cover huge overheads. With backgrounds working for Innocent and Soho House, we have a natural focus on food, drink and hospitality branding. We have helped both startups like Tapped, Farmstand and Think Press, as well as more established companies like Scandi Kitchen and Bol, all find their unique voice in the market. We are Toast Food. We're a brand design agency dedicated to food. We help brands to start-up, launch and grow through creative brand and packaging design. We're experienced, passionate and knowledgeable, and we know what works, we love nothing more than helping food brands to fulfill their potential. We have worked with around 82 FMCG brands. We offer a bespoke service to perfectly suit your needs and objectives: developing a multi-channel campaign covering online and offline. What makes us different to other agencies is our combination of industry knowledge and extensive contacts with marketing, branding and production expertise – all under one roof. Welltodo help people build incredible businesses and careers in wellness. We power brands with wellness industry trends and insights focused on food & drink, fitness, technology, athleisure, travel, beauty and more. We coach and mentor wellness entrepreneurs. We support and nurture a pool of passionate candidates to help them find their perfect job in wellness. We offer a careers platform for wellness companies to find their next best hire. We recommend only the best companies through our Business Services Directory. We share stories, knowledge and industry insight through live events. We accelerate new Food and Drink brands with cash and coaching. At Giant Peach, we create life-changing digital for brands. The meaningful, immersive and engaging digital experiences we produce help to fuel one small revolution at a time - making a difference to businesses, their audiences and the world. We are a food and drink product development consultancy helping you to take your product from idea to production. We can support you through idea and concept generation, recipe and prototype development, label information, shelf life testing, product costing and scaling up to manufacturing. We specialise in offering affordable PR packages for fab foodie start-ups. For those starting out, The Smoothie Bar package is perfect for anyone short on time and money - you can do your own PR in 10 mins a day for only £49 per month. If you're more established and have a PR budget available, our 1-1 package is just £750 per month.